Ptolemaic Period, 332 B.C. to 30 B.C. 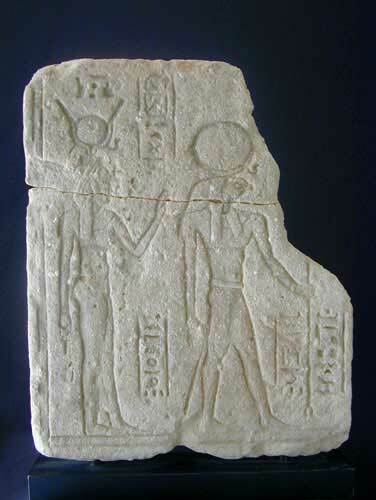 The primary figures on the relief are Horus and his mother, Isis.